Follow the footpath to the left of the playground to reach Westgate. To the left is the Ritz Cinema, the Town Hall and a little further along, situated in the former Courthouse, the Rural Arts Centre. Return to the cinema, turn left into Castlegate, walk the length of the street and re-enter the Market Place. 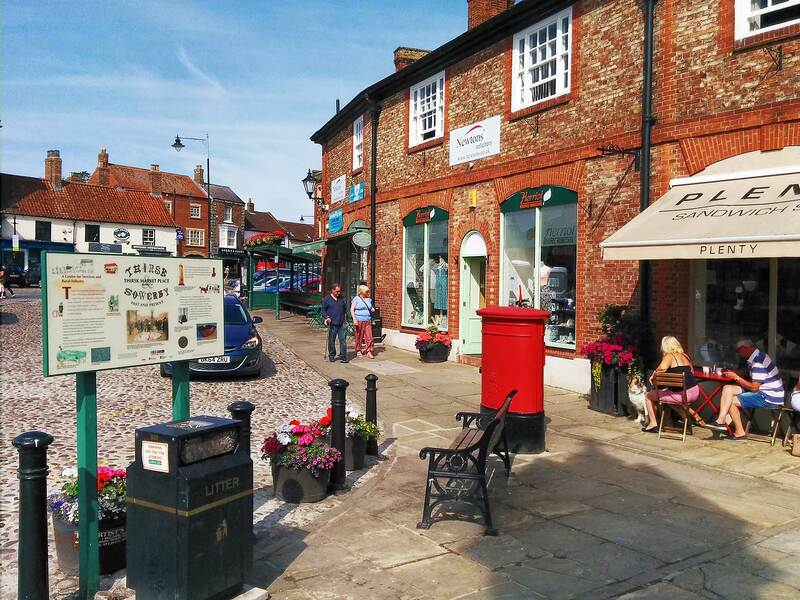 Here boards 14 & 15 are located in the middle of the square, near to Thirsk Tourist Information. ‘A Centre for Services and Rural Industry’ — Thirsk has been the market town of the Vale of Mowbray for nine centuries, supplying and manufacturing a wide range of goods. Industries included linen weaving, leather goods, milling, brewing and malting, rope making and basket making. The market used to supply poultry and dairy products to West Yorkshire dealers. The centre of the town contained covered butchers’ stalls or shambles which were demolished in 1857. A relic of the tradition of open air butchery that survives is the Bull Ring, marked out in the cobbles near the bus shelter. This was where medieval market laws required bulls to be baited by dogs before being sold for slaughter. 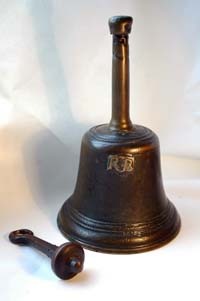 There used to be also a Tollbooth or Market Hall which was destroyed by fire in 1834. The general appearance of the cobbled square has remained unaltered for over 150 years. An ancient market cross was replaced by the clock tower, built in 1896 to commemorate the marriage of the then Duke of York. As well as the clock indicating the time, therewas a water trough for animals at the base and a drinking fountain for people. The leather trade was for a considerable time the staple industry of the town and both tanning and saddlery were undertaken. Thirsk was noted for its fine ales and four breweries and thirty or more inns and public houses have existed over the years. One of these breweries, worked by the Rhodes family in the early nineteenth century, can be seen in Kirkgate. Though the building, now called Brewers Court, has been converted into housing, much of the external structure has been retained and the chimney is still a prominent feature.